My own orange crush Rags loves to climb, but always forgets how to down. MOL! Waffles needs to be careful there! 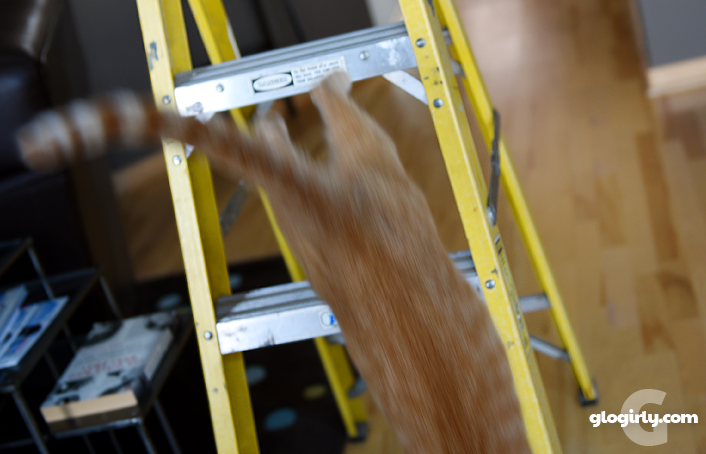 Crockett luvs climbing ladders too! MOL! 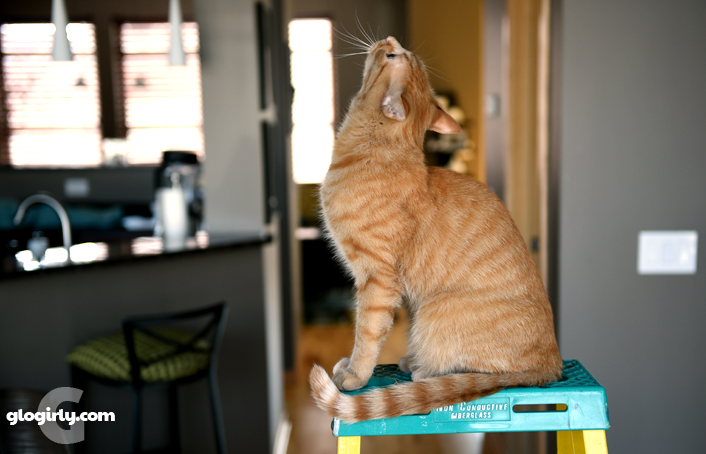 Waffles is scaling to new heights! 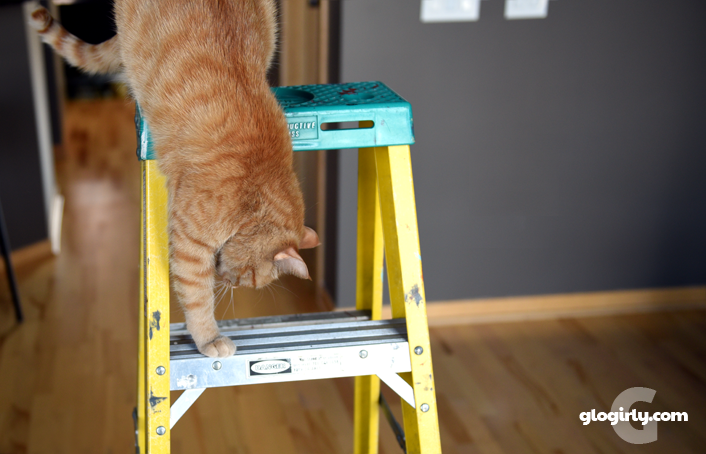 We have never tried climbing a ladder. Our ladder only has 3 steps though. 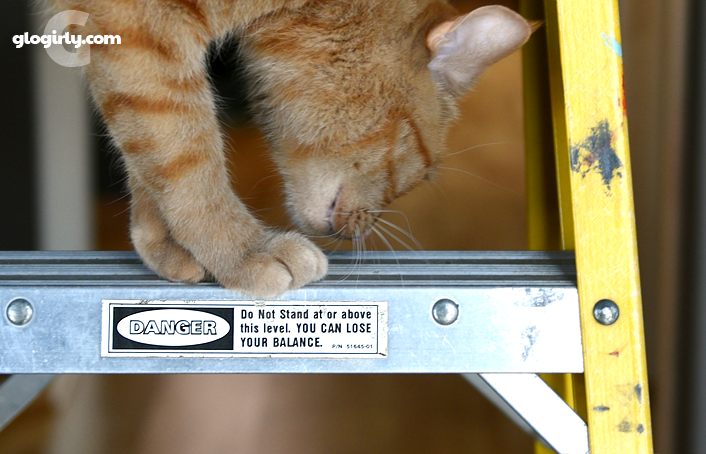 Wally has an obsession with ladders too. But getting up is easier than getting down...right, Waffles?? 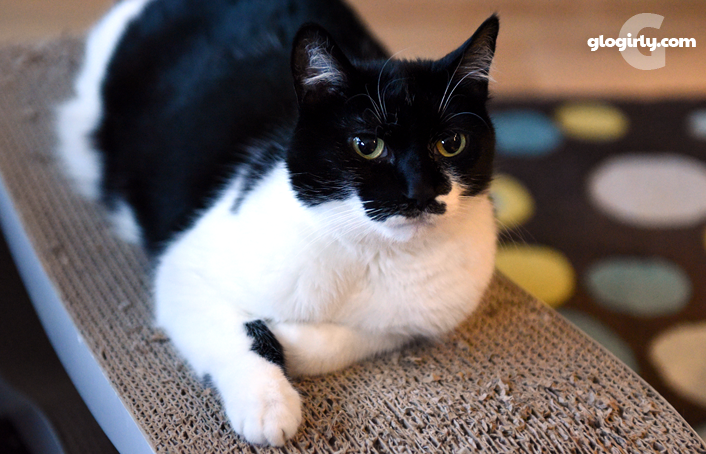 I like putting my front paws up, but I haven't actually climbed onto a ladder. Yet. Ha! 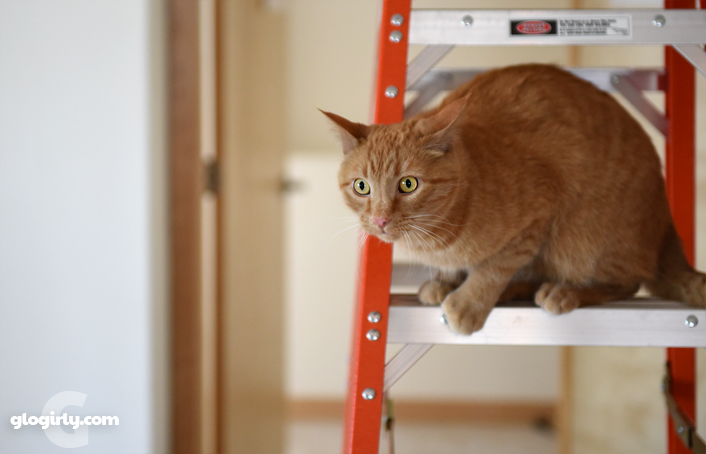 There's a reason we never have a ladder open in our house! 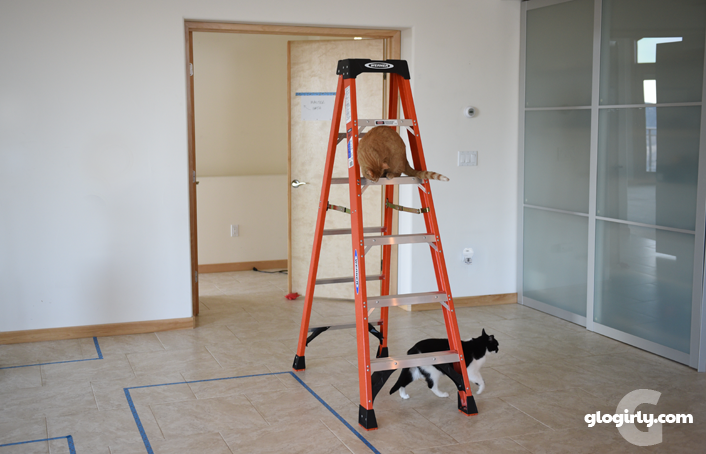 Neither Chuck nor Angel seem to be interested in ladders, and we've tried to coax them up a few times! Maybe we need wood ladders, instead of metal? Dunno, but Waffles is a cutie! Be careful, Waff! It's beneath a mancat's dignity to have to cry to be rescued from high places. Or so Newton has heard. 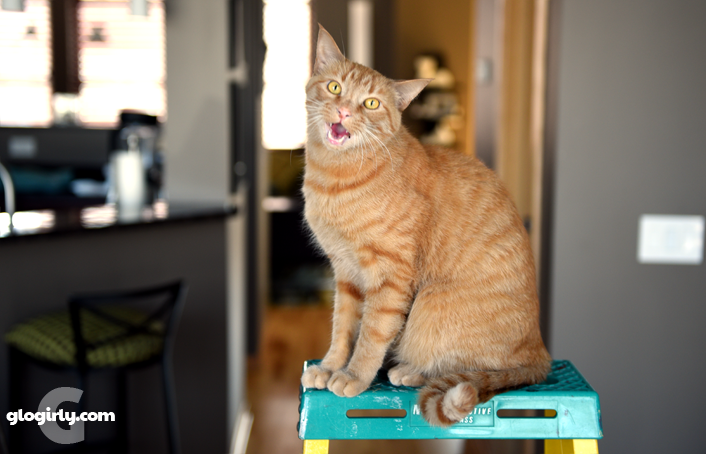 That's one tall ladder, Waffles! Be careful up there! OMC! Ladders are one thing I won't climb. We have those vaulted ceilings too and our ladder is 10 ft. tall. TW prays every time Pop climbs up to change the a/c filter cos he does right to the top.